We all have weird unused keys laying around. But you know the day after you throw it away you’ll either remember what it was for or need it desperately. 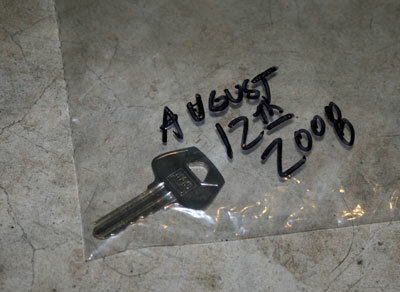 My solution is to put they key in a plastic bag and write the date on it. The date represents when this key was “retired”. Should, say, 6 months go by and they key was never touched, then I chuck it.